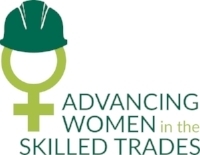 Building Opportunities: Advancing Women in Non-Traditional Occupations is a three-year project led by the YWCA Hamilton in collaboration with Workforce Planning Hamilton (WPH), funded by Status of Women Canada. The project began in 2014 and launched a survey developed by WPH with input from an advisory committee. Building Opportunities is designed to research, understand, and communicate the barriers and opportunities for women in Hamilton, Ontario who are working towards, or established in, non-traditional occupations.